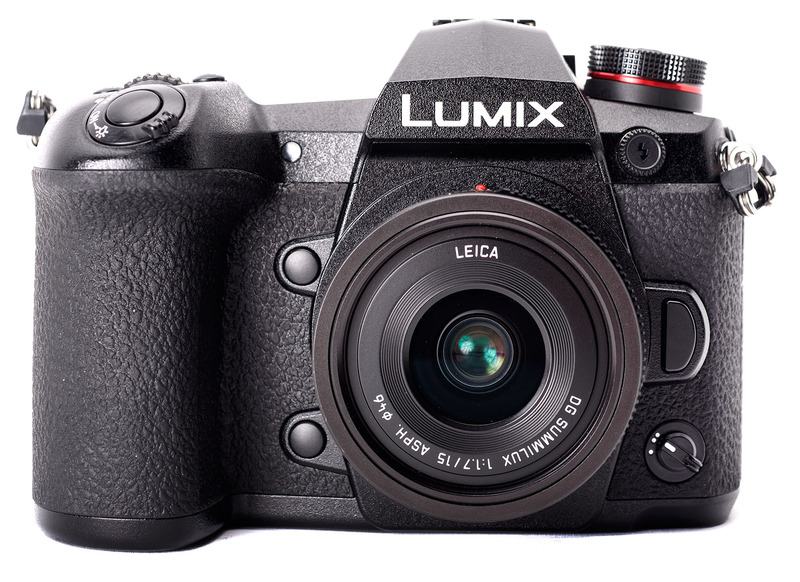 The Panasonic Lumix DC-G9 is the brand’s highest-end stills-oriented camera, sitting beside the video-oriented Lumix DC-GH5 at the top of the product lineup. The GH-series has long held a positive reputation with pro-video shooters but Panasonic hasn’t seen the likes of the GH5 resonate as well with the stills crowd. With the G9 Panasonic hopes to mimic the success the GH series has had in the video realm, and gain a greater foothold in the stills world. There’s a good bit of crossover between the two cameras, but the G9 has some juicy offerings to whet the appetite of still photographers – specifically advanced amateurs and professionals – as well as those seeking a stills/video hybrid. For starters, its faster than its video-centric sibling, capable of an impressive 20 fps with continuous autofocus for about 50 frames using the electronic shutter. It can also shoot at 9 fps with AF-C for 600+ frames using the mechanical shutter, which is equally as impressive. Panasonic’s taken a page out of Olympus’ book – as other manufacturers with stabilized sensors recently have – and added a High-Resolution mode that shifts the sensor to build an 80MP file – this should be hugely appealing to still life and landscape shooters occasionally requiring resolution greater than that of a Micro Four Thirds camera. Physical standouts include a top plate LCD – a true rarity in mirrorless-land – and one of the largest electronic viewfinders on a Micro Four Thirds cameras. It has an equivalent magnification of 0.83x and an eyepoint of 21mm. The G9 also features dual UHS-II card slots and can support V-rated SD cards – the industry’s fastest to date. Don’t take these mostly-stills oriented improvements to mean the G9 is not a capable video camera, because it surely is. Like the GH5 it can shoot 4K/60p video and offers both headphone and microphone jacks, but it lacks the high bitrate options and extensive video tool set of its sibling. Dual I.S. 2 has also been improved and when using compatible lenses, the G9 offers the highest CIPA-rated level of stabilization – 6.5-stops – of any camera currently on the market. This is great news for both stills and video shooters. The Nikon D500, Panasonic Lumix DC-GH5 and Olympus OM-D E-M1 II are all DPReview Gold award winning cameras that, at the time of testing, we felt revolutionized their respective class of camera, upping the ante for what we’ve come to expect from a flagship Micro Four Thirds or APS-C body. That’s some big competition to go up against, but the G9 seems to hold its own. In spec terms, at least. Note: 15mm F1.7 is not included in any kit, but we wish it were. The Panasonic Lumix DC-G9 will be available, body-only, from mid-January with an MSRP of around $1700.